Want to Run in the Sold-Out Mount Evans Ascent? Want to run in the sold-out Mount Evans Ascent? You can! Just leave me a comment in this blog post and I'll transfer my registration to you. It's an easy process--all online. 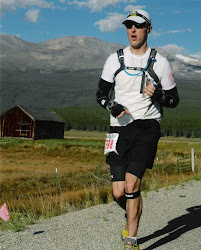 I've decided to do the Leadville Trail Marathon, which is the same weekend. So I'd love to transfer my Mt. Evans number to someone instead of DNS'ing at Evans. It's February, and that can mean only one thing! It’s time to start ramping up the volume to get ready for the upcoming racing season. For me, that means I'll soon be at 70 miles a week. And then the real fun starts in May. Of course, August is the big month--that's when I line up for my fifth Leadville 100. This will be my eleventh season of racing. Where did the years go? Unfortunately, for the past three weeks I’ve been battling a pretty nasty strain in my left hamstring. As with all injuries, I took a look at what I did leading up to the issue and, in this instance, pretty easily determined the cause. In my case, it was the combination of running, skiing and lifting heavy weights—all in a single weekend. Simply put, my left hamstring had had enough and decided to shred on me during a routine 10-miler. So, I haven’t done any weights for a few weeks. I’ve kept running and skiing, though. And I do hope to resume weight-training soon, albeit much more conservatively than before. Fortunately, my hamstring seems to be turning the corner, thanks to slower-paced running and daily icing. I’m continuing to ski almost every weekend—I consider it not only loads of fun and spiritually healthy but also great cross-training, especially when it involves fresh powder. Plus, there's no place that makes me happier than the mountains. I have developed a real passion for skiing, and I most enjoy it when I’m skiing with my wife. Soon, our son will be skiing the mountains with us. He’s still in ski school and progressing rapidly. Seeing him ride the lift freaks me out. 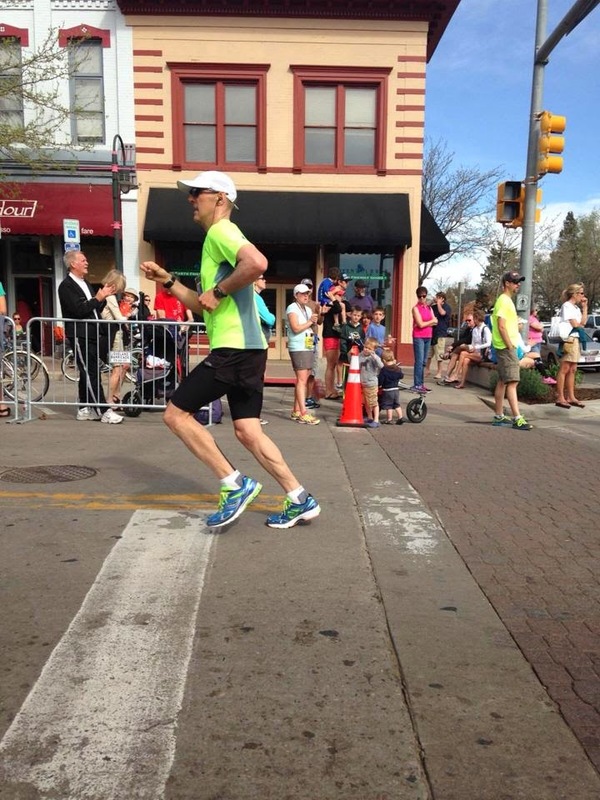 With the Colorado Marathon in early May, there’s not a lot of time to work with if my goal is to break three hours. I need to be putting in some good speed and tempo sessions by the first of March. With my hamstring issue, that may not be possible, meaning I will either skip the marathon (and add the Cheyenne Mountain 50K, which would be slower) or adjust my goals to just a Boston qualifier time. We’ll see. This hamstring strain has really thrown the timing of my marathon training off, since it's prevented fast running. There were days when I could barely walk, let alone run, and yet I still grinded out the mileage. Admittedly, skiing has cut into my training a little, too. My hope is that I’m through the worst of my injury, but I also know that hamstrings take time to heal and you don’t want to keep re-aggravating the muscle. Also of concern is that my hamstring tends to go bad on me with zero notice; one second I’m good, the next second I’m hobbled. So I have to be very cautious. I’m looking for a few other races on my 2014 calendar, including the half-marathon option for La Maratona Verticale, a new set of races coming this July to Colorado’s beautiful Copper Mountain Ski Resort. The marathon apparently has 12,000 feet of gain, meaning the half-marathon has about 6K of climb. I think it would be a cool race—and great training for Leadville since a half-marathon with 6K would involve some decent time on my feet. I haven’t yet ruled out the marathon option…. Twelve K of gain over 26.2 miles would be pretty damned hard. Sign me up! I really enjoyed the recent UltrarunnerPodcast.com interview with Ann Trason. Ann is very humble and not at all comfortable talking about herself and the incredible success she achieved during her legendary career (and she apparently hates that word, “legendary”). She seems really comfortable with who she is and I respect that. Now on my bucket list is to run one of her races; she apparently is a wonderful race director who puts a lot of herself into her events. Check out her interview! To me, Ann gets the nod because she performed at a high level on the road, track and trail. Here’s another reason: When Ann was running, there weren’t many women competing in races. She was mostly running against the men, especially in the earlier years of her career. And in many cases, she was winning outright or finishing on the podium with badass dudes like Tim Twietmeyer. Many of the records she set still stand today. So I think she would be just as dominant today, if not more dominant, than she was 15 or 20 years ago. Yiannis, on the other hand, was more a road and track specialist. I will say that Yiannis holds the most insane record in the sport, in my opinion—188 miles in 24 hours. As for Bruce, until someone breaks his scorching 50-mile world record, he’s on my top-3 list. Oh yeah, and he won a few Comrades, too. Who’s on your top-3 list? I just want to clarify my previous post from last month, in which I wrote that too many of us talk too much and don’t run enough. I said there’s too much analysis of the sport, as if this is ESPN. I think it’s great to reflect on and thoughtfully discuss the direction of the sport and where things are heading. But I think it’s human nature to assume everything going on now is the best ever, the biggest ever, unprecedented, etc. I’ve just gotten to the place in my running life where I don’t like to talk much anymore—I just want to run and race. Maybe that’s a product of being a working stiff who just needs a quiet refuge on the road and trail on a daily basis. Or maybe it’s because most of my running these days is solo—as a result of life’s priorities and a rather isolated existence in Parker, which is far from Boulder and Colorado Springs. I would add, too, that, like many others, I was very turned off by the fallout after the 2013 Leadville 100. All of the criticism being directed at the organizers turned me off. There were many personal agendas at work, and that’s too bad. Leadville’s a great race and it’s awesome that the organizers have taken it upon themselves to call every single entrant for the 2014 race—just to say thanks, field questions, offer encouragement, etc. Those folks who run the race are good people, and they care. Back to the too-much-talking thing…. It is hard for me not feeling a part of the ultrarunning culture like I used to, when we lived in Ohio and I ran with a group (of good friends) every Saturday and Sunday. It’s hard for me to make group runs in Colorado Springs and Boulder. 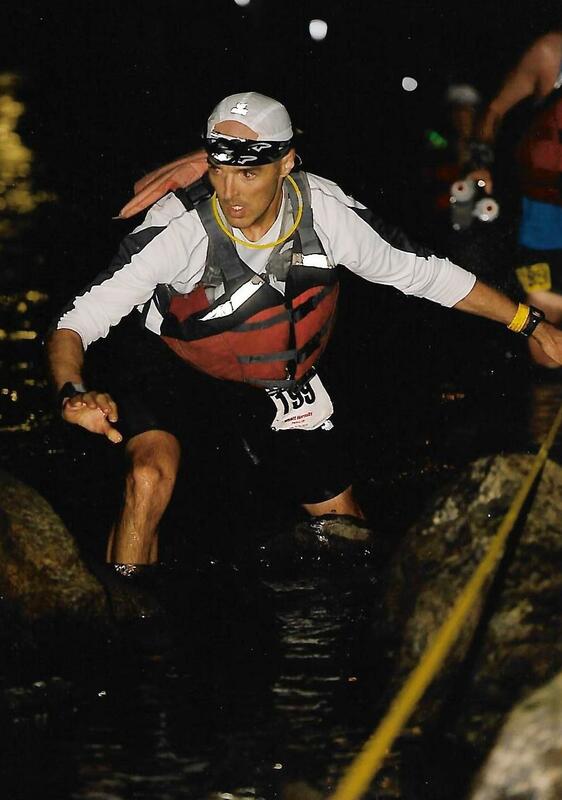 I would love to run more with Team CRUD, the Boulder groups, Denver Trail Runners and the Incline Club. There are many people in those circles--runners of all abilities--who I really like and respect (hopefully you know who you are)…and who I see far too little of due to distance and competing priorities in life. It’s just not possible right now, and so I spend lots of time running alone. I’m sure all this alone-time has caused me to approach the sport in a much different way than I did, say, four or five years ago. I realize that my approach to and view of the sport may be very different from yours, and that's OK.